So, it’s the middle of winter and you’re out snowboarding or skiing or whatever it is that active, non-blogger people do. But sometime during the day, the weather unexpectedly gets brutal and you’re wishing you had worn a heavier coat or at least an extra layer. 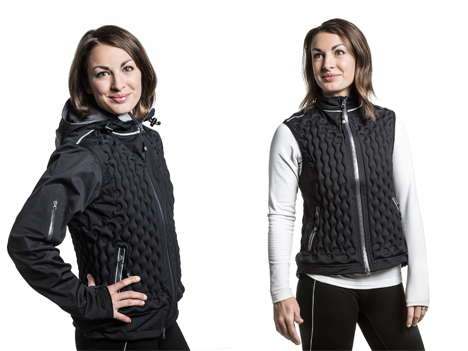 Ordinarily it would put a damper on your fun, but NuDown has released a series of winter wearables that let you customize and adjust the level of insulation based on your needs at that moment. 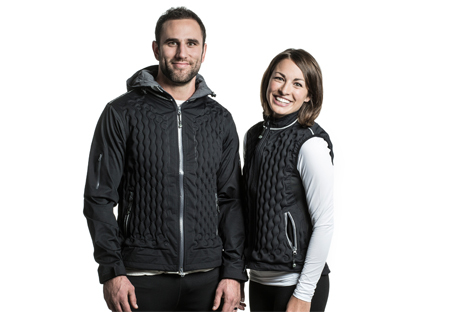 And unlike down-filled winter gear, no baby ducks or geese are harmed in the making of NuDown garments. 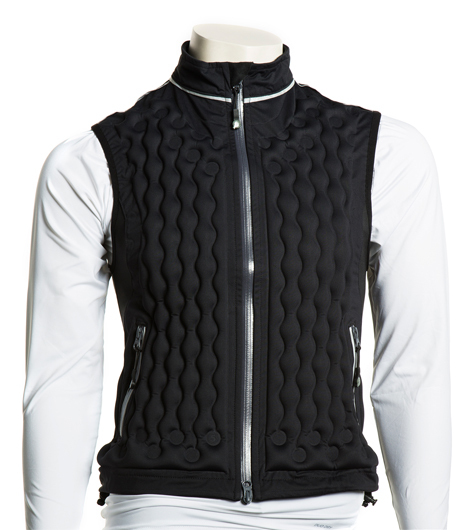 The line of jackets and vests works with a proprietary technology that uses a pocket-size hand pump to adjust the level of insulation. 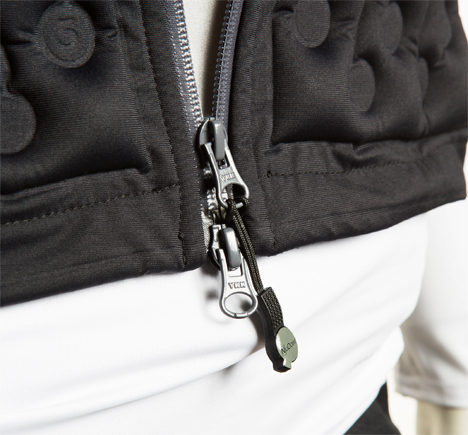 When you’re extra cold, you pump more air into the garment’s dynamic chambers. 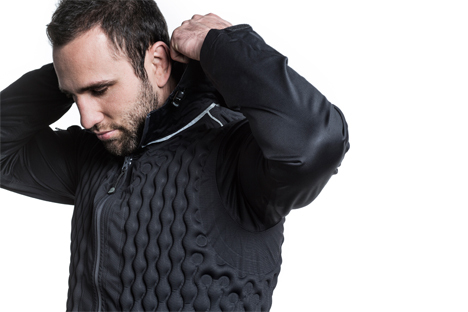 This insulates your body from the cold and keeps you going in the extreme weather. When it’s warmer out, you use the same pump to let some or all of the air out of the chambers. 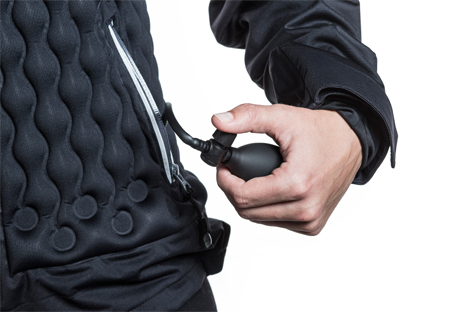 Along with the standard air inflation, NuDown offers argon canisters so you can inflate your jacket or vest with the better-insulating gas. 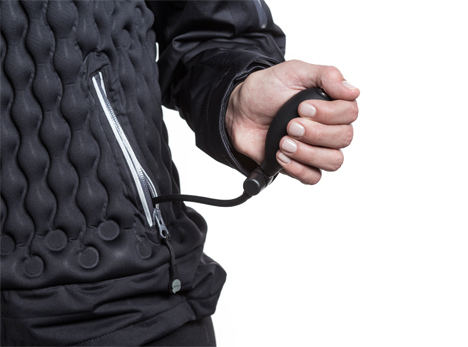 They offer a simple guide to how many pumps you’ll need to reach the desired level of insulation, but trial and error should tell you how inflated the garment needs to be to keep you comfy. 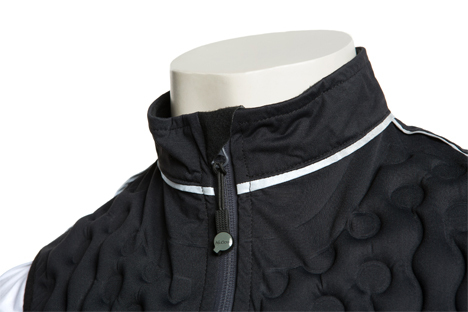 The jackets and vests are all windproof, waterproof, and equipped with high-visibility reflectors for safety. You’ll have to be a well-heeled sports enthusiast to outfit yourself with NuDown products for your winter sports, however. When it’s released in November 2015, the pieces are expected to run between $400 and $600. That might actually be normal for winter sports gear, though – we don’t really know because, like most writers, we hibernate from November to April. See more in Industrial Design or under Technology. January, 2015.